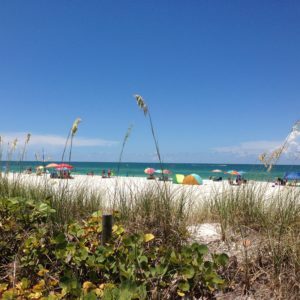 Gulf-front Vintage Cottage : Anna Maria Island and Holmes Beach affordable Gulf Coast vacation rentals. 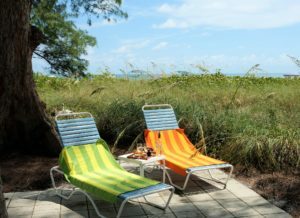 Come visit the Bamboo Apartments and Duplex Cottage and enjoy a peaceful “Old Florida” vacation directly on the beach. There are no busy streets to cross, stairs to climb, or long walks. The beach is just a stroll through the blooming tropical landscape and swaying sea oats. Click here to see the video of the stroll to the beach. 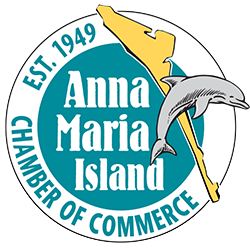 Our central Holmes Beach location on Anna Maria Island is steps from the free Island Trolley stop. The Bamboo is walking distance to the grocery store, drugstore, playground, and numerous restaurants and shops. Local rental agencies are happy to deliver and pick up bikes if you’d like to see the Island on two wheels. The Bamboo’s beachfront is perfect for morning coffee, afternoon grilling, evening cocktails at sunset, or a nap any time. There is plenty of room to spread out. The crystal blue-green Gulf of Mexico and powder white sands are at your feet. Towering Australian pines provide summer shade. Our three spacious apartments (Garden Apartment 2, Garden Apartment 3, Garden Apartment 4) have private sun patios with glimpses of the Gulf. Built in 1916, our vintage duplex cottage (Duplex Cottage Unit C1, Duplex Cottage Unit C2) has French doors opening to an old-fashioned shared screened porch facing the beach. All units include fully equipped kitchens, king size beds, cable TV/DVD, free WIFI, and air conditioning. Most units accommodate four guests. Bamboo Apartments is one of the last original family-owned places on Anna Maria Island. We happily provide personalized customer service. Call Alice at 813-230-4577 to ask questions or make a reservation. See what our loyal guests have been enjoying for over 45 years. You can also check our availability calendar and make a reservation on line.